Are you interested in making a change in your life? Looking for a place to share your ideas and get positive and encouraging feedback from other digital nomads? Do you enjoy the freedom of the open waters? Then come join us on Coboat! Come join us on our first week of our relaunch and be a part of what makes Coboat so special. We provide a meaningful travel experience for everyone interested in location independence. 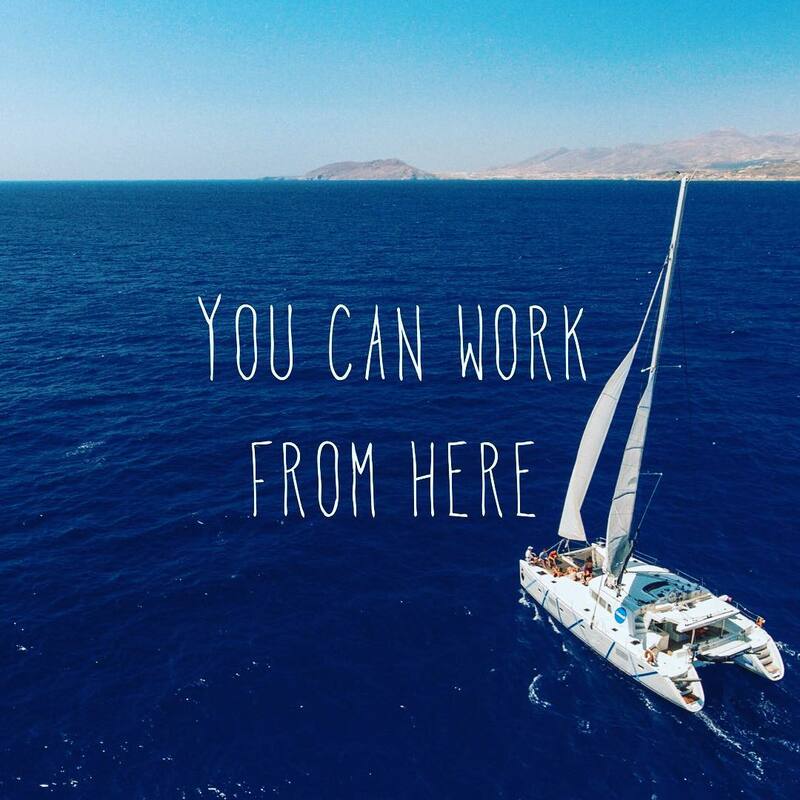 Whether you are new to the experience, or if you have been living the digital nomad lifestyle for years, you will find Coboat to be an inspiring remote working and coliving experience. Connect with like-minded individuals that are in search of a new way of life, with the picturesque backdrop of the Caribbean! With our Pay What You Want structure, anyone can experience this unique coworking and coliving experience! Let your budget and your time here dictate what you pay! On Saturday, we open the boat for boarding. We will have a group meeting to introduce everyone and talk about the activities, workshops, and discussions that everyone on-board wants to be involved in. Sunday, we will cast off and begin our sailing adventure. Since each week is unique, everyone will experience something unique. The rest of the week will entail sailing the Caribbean, swimming, snorkeling, stand up paddleboarding, workshops, themed parties, or possible ports of call – whatever the group decides! Perhaps you would like to become certified in scuba! And of course, there is the option of utilizing our on-board wifi to catch up on work. Don’t forget to discuss your ideas and dreams with your fellow Coboaters! This is how the magic happens! Caribbean - What To Do! We will be based out of Martinique this season, and will sail the Leeward and Windward Islands, returning to Martinique every few weeks. From snorkeling in Smuggler’s Cove in Tortola in the British Virgin Islands, to surfing the eastern shore of Barbados in the Lesser Antilles, many water-based activities await around every turn! Apply now to become part of this unique experience.